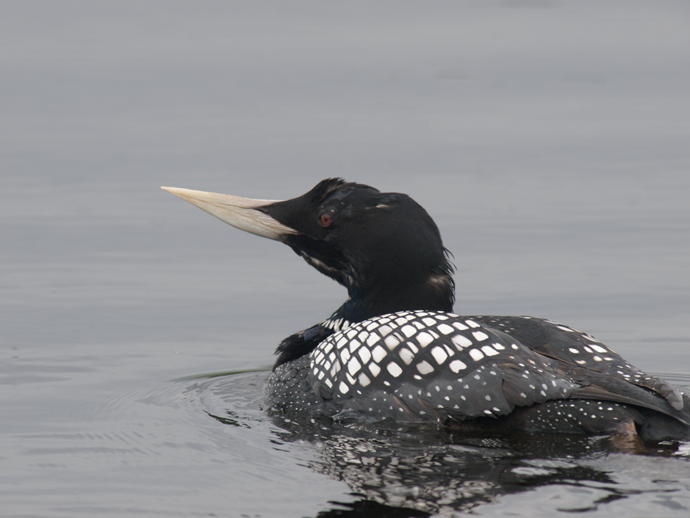 The Yellow-billed Loon is one of the signature bird species of the high latitudes. Breeding exclusively in the arctic, across Alaska and Canada in North America, it’s the biggest Loon, highly territorial and exceptionally handsome. It’s also a poster child for the global impact of humankind of the planet. Because Yellow-billed Loons, which in the course of their lives are never near historic mercury sources, are nonetheless testing for quite high levels of mercury in their bodies. 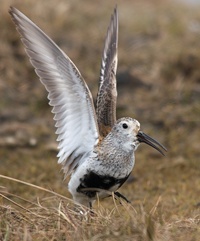 Because they breed in very remote areas, winter off-shore and there aren’t very many of them, they haven’t been extensively researched. But some recent science reports dismaying news: Yellow-billed Loons, quintessential creatures of the relative pristine Arctic, carry dangerously high levels of mercury. Contemporary mercury concentrations for 176 total samples (across all study sites for 115 Yellow-billed Loons) ranged from 0.08 to 1.45 µg/g ww in blood, 3.0 to 24.9 µg/g fw in feathers and 0.21 to 1.23 µg/g ww in eggs. Mercury concentrations in blood, feather and egg tissues indicate that some individual Yellow-billed Loons in breeding populations across North America are at risk of lowered productivity resulting from Hg exposure. So the data show that organic mercury levels in Yellow-billed Loons are approaching or at the levels that impair Common Loons. While Yellow-billed Loons are too uncommon to be extensively hunted, they would be dangerous for humans to eat, as well. Evers went further and tested organic mercury levels in Yellow-billed Loons killed in 1920 or earlier, using samples from feathers and bird skins in museums. He found that organic mercury levels today are twice as high as they were in the 1920s and earlier. So where is the organic mercury originating? Mostly from coal-fired power plants in Asia. Coal contains .08 to .24 parts per million (PPM) mercury. That doesn’t sound like much, but humankind burns 14,416 million tons of coal a year. At an average of .12 PPM, that means 173 tons of mercury were sent into the atmosphere. Bacteria and other organic processes turn that mercury into the even more dangerous organic mercury, chiefly methylmercury. The process of biomagnification does the rest, with each step up the food chain increasing the level of organic mercury present.